This is the first collection of texts in English devoted solely to the rich literature, both prose and poetry, of the Polish Renaissance. The book presents in a fresh and accessible form the greatest texts from a golden age of Poland's literature, culture, and history. The rich tradition of the Polish Renaissance and its crowning achievements are not commonly known to the English-speaking public, in spite of the great figures who lived and worked during this time. This was the period that produced, among others, Nicholas Copernicus, whose heliocentric theory radically changed man's thinking and his view of the universe, and Jan Kochanowski, usually considered the greatest Slavic poet before the nineteenth century. It was Kochanowski who perfected Polish poetic language, declaring with confidence: "I climbed the mountain of beautiful Calliope, where not a trace of Polish foot was seen before me." His "Laments" (translated here in their entirety) remain one of the supreme poetic achievements in any Slavic language of any century. The anthology consists of one hundred and twenty-two selections, sixty-three of them translated for the first time. It encompasses poetry, prose, and drama. The texts include epigrams, fables, songs, sonnets, and elegies, as well as stories, chronicles, letters, treatises, and sermons. Three concise introductory essays describe major historical events, cultural developments, and literary accomplishments of the Polish Renaissance. Each of the twenty-two authors is introduced by a biographical note; the texts are annotated. A select bibliography of works for further study lists English-language anthologies and translations devoted to Renaissance literature, Polish anthologies, and major critical studies. The illustrations depict the monuments of Polish Renaissance culture. 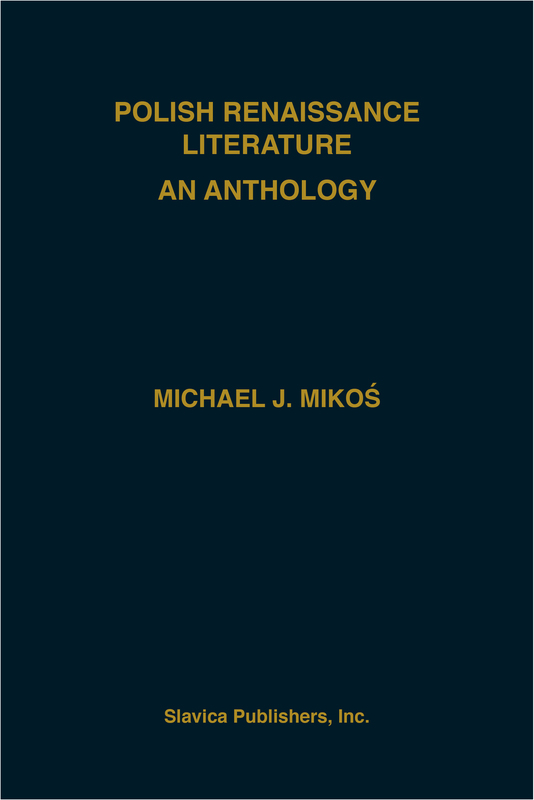 Professor Mikos was awarded the 1995 Polish PEN Club Prize for his translations, including this book and Polish Baroque and Enlightenment Literature.